News & commentary about aviation and airplanes — for pilots, AMEs, flight attendants and anyone who has ever gazed up at the sky or down on the world. Views are my own. Well I certainly didn’t anticipate writing about Boeing’s 787 problems two days in a row but it’s impossible not to do so in the wake of the eye-popping developments last night. All Nippon Airways Boeing 787 with its evacuation slides deployed after an emergency landing in Japan. For those who haven’t yet heard, All Nippon Airways and Japan Airlines yesterday grounded their 787 Dreamliner fleets — collectively 24 aircraft in all and nearly half of all 787 deliveries made so far — in the wake of an emergency landing by an ANA flight at Takamatsu airport in western Japan. ANA said the aircraft’s pilots received a cockpit message indicating battery problems. A burning smell was additionally detected in the cockpit and cabin. All 129 passengers and eight crew members evacuated safely using the emergency slides. The episode comes in the wake of a decision last Friday by the FAA to conduct a review of the airliner and its certification after a litany of problems, many of them related to the lithium-ion battery technology the aircraft. Here’s a link to a comprehensive list of recent snags from Britain’s Telegraph newspaper. That the batteries once again appear to have caused a problem is striking. As I wrote in yesterday’s post, the airplane makes use of battery technology in place of hydraulics as a weight-saving measure (the weight saving is one of the reasons the airplane is said to be 20 per cent more fuel efficient than other aircraft of its size). I came across a tweet today from Stephen Trimble (@FG_STrim), an aviation reporter and editor at flightglobal.com, who says a 787 lithium battery caught fire in 2006 and — ehem — burned down an office building. By the way, here’s a picture, in a story written by Stephen Trimble, released by the NTSB in the U.S., showing the charred battery box from an incident last week involving a JAL flight at Boston’s Logan Airport. Clearly the battery was on fire. I received training on extinguishing Lithium-ion battery fires when I was a flight attendant. They’re commonly used as a power source for laptop computers and cell phones. When a li-ion battery has what’s called a thermal runaway and overheats, the result is nasty. And cell phone batteries have had precisely these kinds of runaways on aircraft before. In fact there was one in 2011 in Australia. Temperatures can go as high as 1,110 F. The important first response is to cool the battery using water. More from twitter: Josh Newman (@joshuan542), who is studying to be an AME in the UK, sent me a message pointing out that ANA and JAL use the same maintenance company. Worth noting, given the majority of the 787 problems have come from those two airlines. That said, those two airlines also have more of the aircraft than any other operator thus far. By the way, Air Canada has ordered 37 787s so far. Here’s a link to a list of 787 customers. No one at this point would be surprised if the entire 787 fleet was grounded until the FAA completes its review. Increasingly, it would appear the FAA made a prudent decision last week and it’s important for Boeing to respond as openly and transparently as possible and not simply assert the airplane is safe. Clearly it’s not quite. This entry was posted in Industry News & Commentary, Machines & Maintenance, Safety and tagged 787, aircraft, All Nippon Airways, ANA, battery, Boeing, debacle, FAA, fire, JAL, Japan Airlines, li-ion, lithium-ion, safety on January 16, 2013 by Craig Daniels. So I went back and forth all weekend trying to make my mind up about whether or not this Boeing 787 tempest was worth some discussion or no. A smoldering battery fire related to the auxiliary power unit, discovered Dec. 7 on the underbelly of a 787 operated by Japan Airlines. On the same day, a United Airlines Dreamliner flight from Houston to Newark, N.J., was diverted to New Orleans after an electrical problem emerged mid-flight. Qatar Airways, which had accepted delivery of a Dreamliner a month earlier, grounded the aircraft for the same problem that United experienced. Last Friday a crack on the cockpit windscreen on an All Nippon Airways 787 was discovered. The plane landed safety but its return trip to Tokyo was canceled. 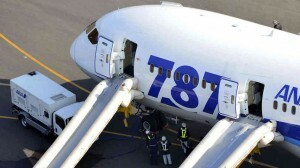 On the same day, oil was discovered leaking from an engine on another All Nippon Airways 787. Last Wednesday, All Nippon cancelled a 787 flight after a computer mistakenly showed problems with the aircraft’s brakes. Last Tuesday, a fuel leak forced a 787 operated by Japan Airlines to return to its gate minutes before taking off from Boston. Quite the list, no doubt. But by Sunday night I finally decided it wasn’t worth adding my two cents. My thinking was this: Teething problems on a new airplane are not new, particularly on one which has introduced, as the 787 has, so many new technologies. I read remarks from Boeing engineers who said the 747 went through the same sort of process when it was introduced, and thought to myself, OK, they’ll sort it out, and the FAA review is just good safety management. And then yesterday, Monday, yet another problem emerged on a Japan Airlines 787: An inspection Sunday revealed that the same 787 which leaked fuel in Boston more than a week ago had spilled another 100 litres of Jet A at Narita Airport outside of Tokyo. That event snapped me awake and made me decide something important was at stake and needs discussion, and I’m not talking about last week’s problems or the FAA review, per se. In my time as a journalist and just a guy following current events, I’ve come across countless examples of accidents or near-accidents unfolding from organizations that once considered themselves bullet-proof. The episodes that immediately came to mind were the Challenger and Columbia space shuttle disasters. They shared a common thread: Arrogance, indifference, procedural creep. Boeing has had a pretty good ride of late. It’s order sheet is fat. It’s building airplanes as fast as it can, airplanes that are considered state of the art. The Dreamliner, as it’s known, has introduced lightweight carbon-fibre construction and replaced much of an aircraft’s traditional hydraulically actuated systems with electrical systems using lithium-ion batteries. The ensuing weight reduction has generated 20% fuel savings compared to an older airplane seating as many people (210 to 290, depending on configuration). It’s an enormous technological leap and understandably, airlines, many of them struggling financially, are lining up to buy them. And you know what? That’s precisely when you put the brakes on and have a good look-see. 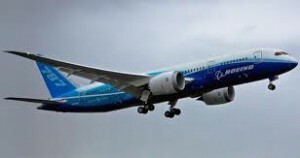 Nobody would (yet) suggest Boeing doesn’t manufacture a fine product or that the Dreamliner isn’t a remarkable airplane. They do and it is. But it could very well be that a company going hell-bent-for-leather, one under pressure to get aircraft out the door (the first aircraft was delivered in September of 2011, more than three years late, and then production went into high gear and last year the company built 46) misses something. Or that the FAA, during the “unprecedented” certification process, misses something. People and processes aren’t perfect, as aviation has proven again and again and again. So why not have another look? For silly. Yes, it will cost Boeing and the FAA some money. And why not think of that as an investment rather than a cost? After all, if one of those airplanes has a serious safety episode, one that results in the loss of life, the cost, in human and financial terms, will make the review ordered last Friday by the FAA look like so much pocket change. This entry was posted in Industry News & Commentary, Safety and tagged 787, Boeing, Dreamliner, FAA, Japan Airlines, review on January 15, 2013 by Craig Daniels. "The first officer says he's got you in sight." "Roger, the first officer's cleared for a visual approach runway 27 Right...you continue on that 180 heading and descend to three thousand." -- Controller at Chicago's O'Hare Airport.